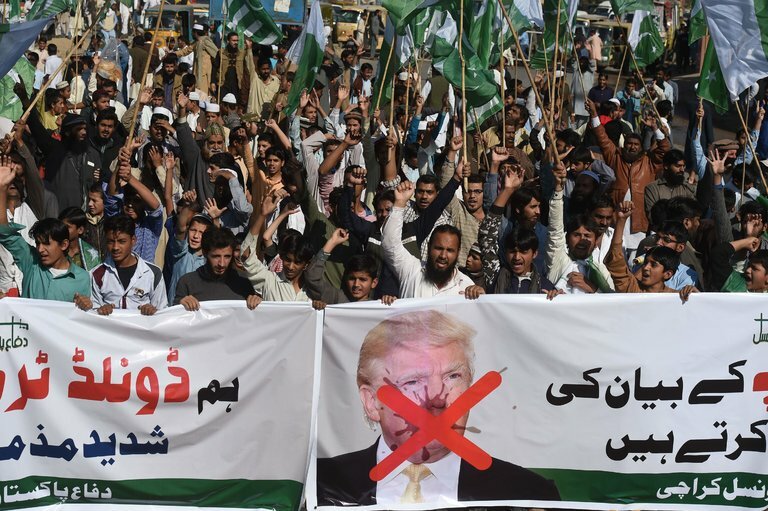 A protest against President Trump’s tweets about Pakistan took place in Karachi on Tuesday. WASHINGTON — The United States will suspend nearly all security aid to Pakistan, the Trump administration announced on Thursday, in a sign of its frustration with the country’s refusal to confront terrorist networks operating there. “The suspension is a freeze, and does not reflect intent to reprogram funds at this time,” according to internal government talking points that were obtained by The New York Times. State Department spokeswoman Heather Nauert did not provide an estimate of the total aid funds affected, but said it would be a very significant figure. American officials had also demanded access to a militant who was captured by Pakistani forces during the rescue of a Canadian-American family in October. The militant was a member of the Taliban-linked Haqqani network, but Pakistan rejected the Americans’ request. The suspension includes Coalition Support Funds for Pakistan, which is provided by the Pentagon to help pay the costs of Pakistan’s counterterror operations.